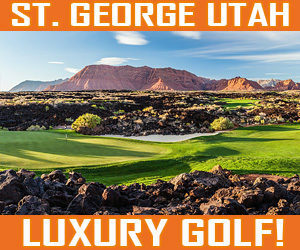 Tucked up against Utah’s Wasatch Mountains in the small farming town of Midway, Crater Springs Golf Course (formerly the Homestead Resort golf course) offers a enjoyable setting to spend a few hours on a fun resort golf course. The layout offers a playable design with minimal forced carries, and yet offers back tee options which can offer plenty of challenge for better players. The back nine plays along the river bottoms of the Snake Creek Valley, and offers a much different look with the creeks and lakes coming into strategic play. 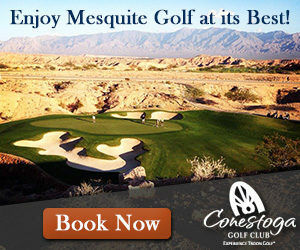 Accuracy, not length will prevail at Crater Springs. Recently new ownership completed a small renovation of 9 and 18 green complexes which added a waterfall and brings a lake into play on the closing holes on each nine. The new owners also have made sure to keep up the quality of the playing conditions and strive to keep the golf course in great shape. 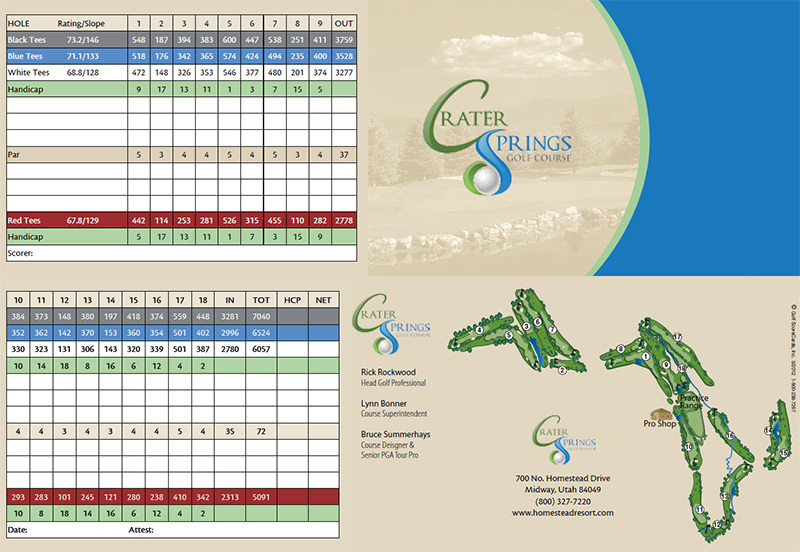 Why Should You Play at Crater Springs Golf Course?